Residing quietly behind gated walls, you will find Kumu Wai, your respite from the rest of the world. This U-shaped six bedroom, six bathroom villa sits oceanfront on Hawaii's renowned Lanikai beach and wraps around a pool fed by a trickling pond. A gourmet kitchen, soaking tub in the master bedroom, decks, and Jacuzzi complete this estate.Former vacation rental with 18 years of good cash flow. xD; xA; xD; xA;Kumu Wai is also partitioned to accommodate large groups that want to be together, but not so close together. The main section of the home includes the living areas, kitchen, laundry facilities, a guest bedroom, a downstairs suite, and the upstairs master suite. The right wing with its own entrance is a suite. The left wing with its own entrance has two guest bedrooms and a shared bathroom. Huge 19,300 square foot waterfront estate! Paddle to nearby Kailua Beach from your backyard. This 5 bedroom/4 bathroom one-of-a-kind custom island-style home built in 2007 showcases outstanding architecture, quality construction, craftmanship and attention to detail combined with the interior design of a seaside retreat. A gourmet kitchen, a great room with vaulted ceilings embraced by two staircases trimmed in mahogany, energy efficient w/ 39 owned PV panel system, a sparkling pool, this is a stunning home for family gatherings and entertaining year round in rare privacy. Relax while watching the sunrise over Kailua Bay from your master suite lanai and upper lounge & enjoy all the ocean activities that Kailua has to offer. Lowest price for Lanikai Ocean front.Huge Price Reduction. Beautiful gated home with Balinese inspired furniture. Breathtaking ocean view and lush tropical landscape. Enjoy kayak, snorkel and swim. xD; xA;This home has been lovely maintained with owners suite and gourmet kitchen. House comes fully furnished. 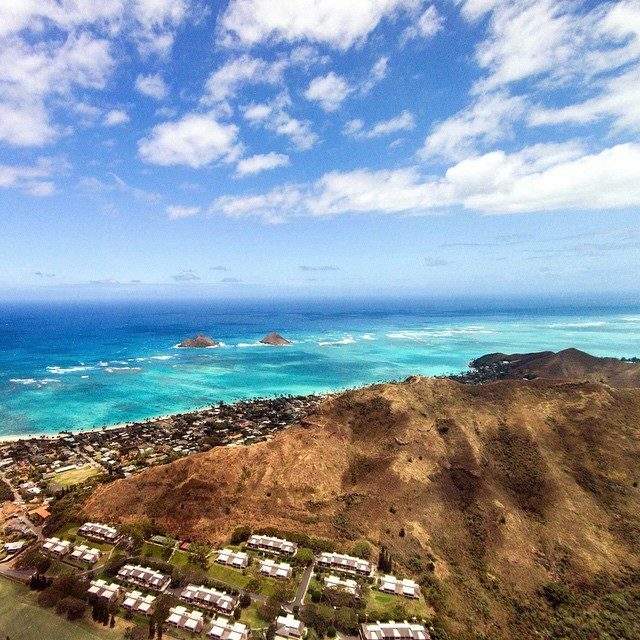 Enjoy all that Lanikai has to offer. Click on video icon under MLS photos for video. The Ultimate Coastal Compound! This stunning HM is unlike any other & offers a multi-functional flr plan w/rm for the whole family! Enjoy tropical grounds & coastal shoreline vistas of turquoise waters & the famed Mokulua Islands. Main residence w/ 3 bd x2019;s/baths, offers striking contemporary interiors w/French white oak hrdwd flrs, proff kitchen w/large central island, open living/dining & an expansive cov x2019;d deck for entertaining. Dream master suite w/custom bath & private deck is the ultimate sanctuary. Separate rec-rm w/bath is complete w/ a private succulent garden lanai w/outdoor shower perfect for relaxing after a beach day. Separate yoga/meditation rm w/bath offers tranquility & lovely views. A dream hm by the sea, steps to famed Lanikai Beach. Fully gated + 5-car encl garage. Custom built new luxury home in Kailua. This single level large home is located a short walk from beautiful Kailua xD; xA;Beach. Close to Kailua town, Whole Foods, Target and other popular shops and restaurants. Designed by a xD; xA;renowned architect to maximize light and air flow to manifest an indoor-outdoor feel. This modern plantation style xD; xA;home offers 4 bdrms, 3.5 baths and an oversized great-room that has multiple Breezeway louver windows and high xD; xA;quality finishing details. A gated and fully fenced yard ensures security and privacy. The large blue water heated pool with a Baja ledge and professionally landscaped tropical yard complete this prestigious Kailua home. Beautifully secluded Tropical Estate, in the Norfolk area, of Kailua. Country elegance on a completely usable 2.39 acres. This is one of a kind property features 6 bedrooms, 6 1/2 bathrooms, several private sitting areas, pool, jacuzzi, tennis court, and roof top veranda. Access the various lanai's, via custom French Doors, throughout the property. The main house consists of 3 levels, and the property comes with two private one bedroom guest cottages. Spectacular views of the ocean, the Koolau mountains, and sunrises. Lushly landscaped, and impeccably maintained. Great location, be at Kailua beach in 10 min., 20 min. to the airport, 30 minutes to downtown and Waikiki. Parking for up to 15 vehicles.